Bound in marbled paper boards and identified on the spine as “Praelection Chymicae, Vol. 1, G. Martin,” this mid-18th century volume on chemistry includes references to Andreas Marggraf, John Henry Pott, Hermann Boerhaave, Daniel Gabriel Fahrenheit, and [William] Cullen. Although incomplete and not certainly identified as to location, the front pastedown includes a manuscript notation from Lucien M. Rice indicating that the volume “came into my posession at Charleston, S.C. April 18th A.D. 1865,” while a member of the U.S.S. Acacia (in the South Atlantic Blockading Squadron), along with a printed bookplate for Lucien M. Royce. Evidence of singeing at the top corners of the book may be connected to its provenance. The volume may represent a student’s notes, with Martin corresponding either to the lecturer or auditor. Born in Gomel, Russia in 1912, Lazar Mayants earned a PhD in chemistry (1941) from the Karpov Institute for Physical Chemistry and a Doctor of Science in physics and mathematics (1947) at the Lebedev Institute for Physics (FIAN), both in Moscow. With primary research interests in theoretical molecular spectroscopy, applied linear algebra, quantum physics, probability theory and statistics, and the philosophy of science, he began his career as Professor and Chair of the Theoretical and General Physics Departments at Ivanovo, Saratov, and Smolensk Universities in Russia. Mayants came to University of Massachusetts Amherst in 1981 as a visiting professor, becoming an Adjunct in 1987. He taught at UMass for over six years, often forgoing a paycheck as a result of decreased funding in the sciences. He remained in Amherst until his death in November 2002. The Mayants Papers are comprised of professional correspondence, drafts of articles, personal and financial records, and notes for research and teaching. Mayants’s dissertation from the Lebedev Institute for Physics is also included with the collection. Forest pathologist and arboriculturist Malcolm Arthur McKenzie was born in Providence, Rhode Island in April 1903. 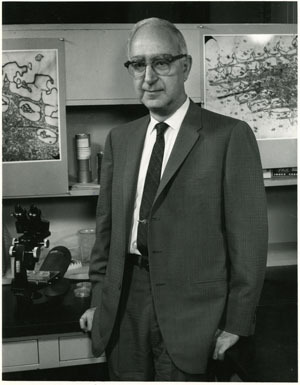 After attending Brown University (PhD Forest Pathology, 1935), he worked successively as a field assistant for the United States Forest Service forest products lab, as an instructor at the University of North Carolina, and finally with the University of Massachusetts Shade Tree Laboratory. He conducted important research on the diseases of shade trees, including Dutch elm disease, wood decay, and tree pests, as well as related issues in tree hazards in public utility work and municipal tree maintenance. The McKenzie Papers document McKenzie’s association with the UMass Shade Tree Lab, along with some professional correspondence, research notes and publications, and McKenzie’s dissertation on willows. in 1944, William Nash graduated as valedictorian of Illinois Institute of Technology in civil and mechanical engineering and five years later he received his Ph.D. in mechanical engineering from the University of Michigan. Pursuing a career in naval engineering, Nash worked as a research engineer at the Naval Ship Research and Development Center in Washington, D.C. (1949-1954) and as a structural researcher at Bethesda Naval Institute (1953-1957), where he participated in the deepest recorded naval dive and reverse engineering of recovered Soviet submarines off the coast of Norway, the details of which remain classified. After nine years teaching mechanical engineering at the University of Florida, Nash joined the Department of Civil Engineering at UMass in 1967, where he remained until his retirement in 1992. During his career, Nash also served as a consultant for the U.S. Navy, U.S. Air Force, Lockheed International, General Electric and the Jet Propulsion Laboratory. The Nash Papers contain correspondence, publications, and research notes documenting William Nash’s varied academic work and teaching as an engineer, along with selected work of his students. David F. Noble was a critical and highly influential historian of technology, science, and education, writing from a strong leftist perspective. 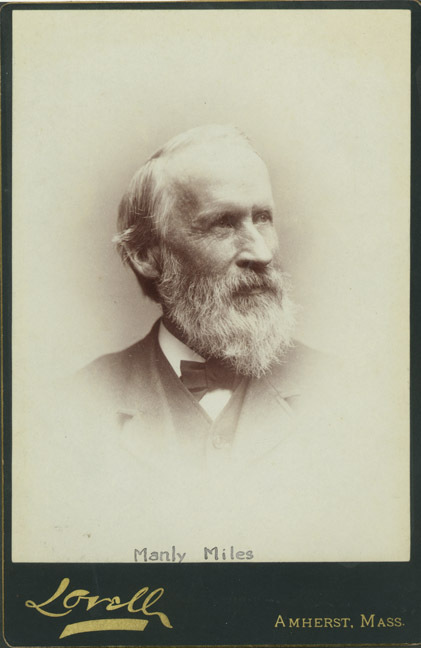 Receiving his doctorate at the University of Rochester, Noble began his academic career at MIT. His first book, America By Design (1977), received strong reviews for its critique of the corporate control of science and technology, but proved too radical for MIT, which denied him tenure despite strong support from his peers. A stint at the Smithsonian followed, but ended similarly, and he continued to face opposition in his career for his radicalism and persistence. After several years at Drexel (1986-1994), Noble landed at York University, where he remained committed to a range of social justice issues, including opposition to the corporatization of universities. Among his major works Forces of Production (1984), A World Without Women (1992), The Religion of Technology (1997), Digital Diploma Mills (2001), and Beyond the Promised Land (2005). Noble died of complications of pneumonia in December 2010, and was survived by his wife Sarah Dopp and three daughters. The challenges of academic freedom and corporate influence that Noble confronted throughout his career, and his trenchant analysis of technology, science, and religion in contemporary culture, form the core of this collection. Although the files relating to his first book were mostly lost, each of his later books is well represented, accompanied by general correspondence, documentation of his lawsuits against his employers, and selective public talks and publications. Noble’s time at York is particularly well documented, including content relating to his principled stand against grading students. The Northampton State Hospital was opened in 1858 to provide moral therapy to the “insane,” and under the superintendency of Pliny Earle, became one of the best known asylums in New England. Before the turn of the century, however, the Hospital declined, facing the problems of overcrowding, poor sanitation, and inadequate funding. The push for psychiatric deinstitutionalization in the 1960s and 1970s resulted in a steady reduction of the patient population, the last eleven of whom left Northampton State in 1993. With the Government Documents staff, SCUA has digitized the annual reports of the Northampton State Hospital from the beginning until the last published report in 1939. The reports appeared annually from 1856 until 1924 and irregularly from then until 1939.